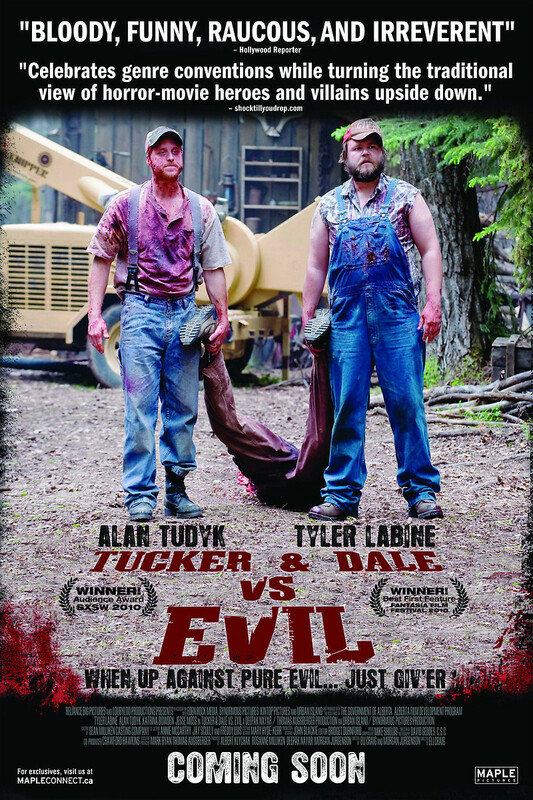 Tucker & Dale vs Evil DVD and Blu-ray release date was set for November 29, 2011. Tucker and Dale are two innocent hillbillies who just want to spend a weekend fixing up their new cabin in the woods. A pack of entitled college students are also taking a trip to the woods to party. One of the kids wanders away from the group and gets knocked unconscious in a fall; Tucker and Dale come to her aid. Unfortunately her friends believe she's been kidnapped by a pair of horror-movie-cliche murderous rednecks. As the misunderstandings - and the bodies - pile up, can these two hapless country boys save the day?